Good food is most often, simple food. A little hidden gem not very far from the grand Sheikh Zayed mosque in the capital Abu Dhabi. In an authentic building in Al Rhoudha Area is Firin bakery. I have previously tried Firin few years ago in Kuwait and I was very excited to hear that it opened in my hometown. The place is very light, simple and cozy with motivational quotes everywhere you turn around. The chairs, tables and reception desk are made of recycled wood, which just made me love decor even more. It’s simply a great place to get away from the city crowd and enjoy a nice cup of tea and some delicious pastries. The owner, Moza was extremely nice. We had the pleasure of tasting most of their baked goods and some of their savory dishes as well. We were very pleased to hear that everything that enters the kitchen is certified; they test all their ingredients and guarantee that everything is 100% gluten-free. Some of their products are imported from the U.S. while others like flours are from a local supplier. Firin also has some diary free, egg free and sugar-free options on their menu. First thing we tried was their delicious rich buttery spinach Quiche that just leaves you craving for more. As for the deserts, first we had their rose shaped Chai Haleeb cake that has this homemade feel. It was very enjoyable and I highly recommend it. Their muffins were heavenly; they made my taste buds tingle. They come in five different flavors; ginger, raspberry, blueberry, chocolate and walnut. I enjoyed them all, specially the delicate rich walnut muffin. Another hit was their Bundt cake, SO GOOD. Thou its very important to make sure they pre-heat the pastries before they’re served. It makes a difference, trust me. We then moved to their Cupcakes, which come in four different flavors; vanilla, chocolate, red velvet and carrot. I liked the chocolate cupcakes. Moreover, Firin offers a selection of white and brown breads such as pita and loaves. We tried their brown loaf, I personally wasn’t a fan but my mother for one liked it. They also have a wide selection of organic tea and coffee that truly complements their pastries. Lastly, the place doesn’t’ only have free wifi, but also extra phone charges. What more can we ask for? It’s a truly wonderful café and bakery. I took home with me a small bag of their yummy peanut butter cookies and tasty almond biscuits. I’m pretty sure I’ll be going back for more soon. If you’d like to know more visit their website www.firin.co or call 02-4471711 You can also follow them on social media@firinbakeryuae. Sounds fantastic. But why are all these amazing gf places opening only in Abu Dhabi?? We need them in Dubai!! Particularly somewhere we can take kids, that features ‘normal’ food!! 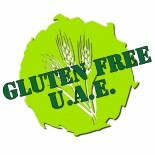 This entry was posted on 17/05/2015 by ramonabrainstorm in Reviews and tagged Firin bakery, gluten-free Abu Dhabi.